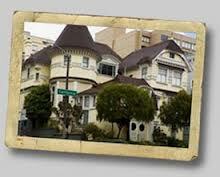 There are several mansions in San Francisco, California that are considered haunted. 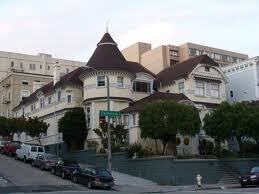 Most of these mansions are located in the exclusive Pacific Heights district. They all have interesting histories connected to them but the mansion that has the most fascinating story is the Atherton Mansion located at the corner of Octavia and California streets. This mansion is considered haunted even today. A very bitter lady by the name of Dominga de Goni built the Atherton Mansion after her husband died. Hers was not a happy marriage. Dominga, was the daughter of a prominent Chileno family when she met her husband Faxon D. Atherton who had traveled to Chili in 1834. Atherton made his fortune in trade, he married Dominga and moved to California where he was one of the wealthiest businessmen on the Pacific coast. He and Dominga had seven children but Faxon was a notorious womanizer who alienated his wife and family. Dominga, left to her own devises used her husband’s wealth to create her own powerful social world, which included a strict dominance over her family. Her eldest son George Atherton, who later married one of California’s most important authors, Gertrude Franklin Horn, was often the brunt of his mother’s domineering ways. Upon his father’s death his mother had the Atherton Mansion built. When it was completed in 1881 Dominga and George and his new wife Gertrude moved in. Unfortunately, George never lived up to the standards his mother expected from his father’s son. He in fact became a social embarrassment for his prominent family. George’s wife Gertrude was also a strong willed woman so George found himself stuck between two very domineering woman. His manhood was challenged on a regular basis. Finally, fed up, George in 1887 accepted an invitation to sail to Chili. He stated to his wife and mother he was going to visit friends but he actually hoped that he might follow in his father’s footsteps so that he could prove his worth once and for all. But the trip proved to be disastrous. George developed kidney problems during the voyage and died. The ship’s captain preserved George’s remains by storing his body in a barrel of rum, which was shipped back to the Atherton household several weeks later. No note arrived with the cask of rum so the family butler assumed it was just rum. He and the rest of the household received a nasty shock when the cask was opened to reveal the body of his former master. George’s body was dried out and buried but his spirit has never rested peacefully. Shortly after his burial the two woman that had plagued him in life started to have very unnerving experiences. Both Dominga and Gertrude reported being awakened in the middle of the night by loud knocks upon their bedroom doors. Even more unsettling both ladies described a very cold menacing presence that seemed to lurk in their rooms. The activity became so pronounced that Dominga decided to move out of the Atherton Mansion—she sold it shortly afterwards. But the nightly disturbances didn’t end. Each new tenant described hearing endless knocks and feeling cold spots. These new owners never stayed very long. This pattern continued through the years until 1923 when the property was sold to an eccentric lady by the name of Carrie Rousseau. Carrie took up residence in the mansion’s ballroom * surrounded by over 50 cats. She lived in the Atherton Mansion until her death in 1974 at age 93. 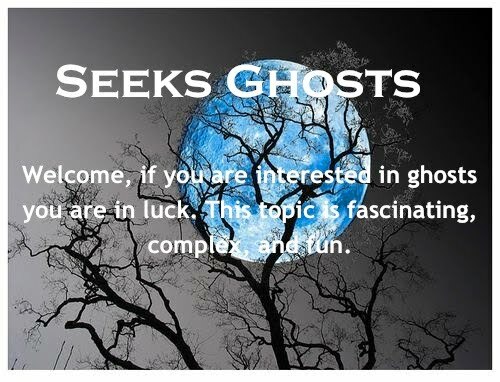 People who have investigated the house state that there appears to be three female spirits present “who just don’t like men” and there is also a frail male spirit in the house. Some believe these spirits are the ghosts of Dominga, George, and Gertrude Atherton, the third female spirit is believed to be Carrie Rousseau. * She converted the ballroom's orchestra chamber into her living space. 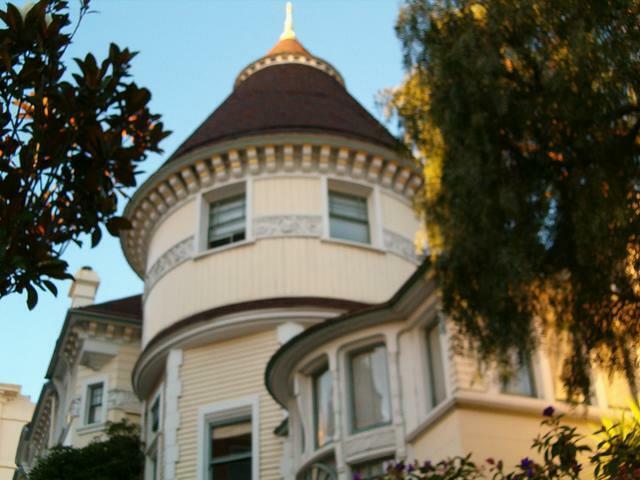 Her cats lived in the adjoining apartment, formally the Atherton Mansion banquet hall. ** The San Francisco Chronicle ran a story about one tenant--a singer by the name of Aurora Booth who told them about a mysterious rushing wind that blasted through her small apartment. Another tenant, Jerry Landewig, a dental assistant, claimed that a loud rapping would disturb her as she tried to fall asleep. Yet another tenant moved out of the tower room apartment after being harassed by several ghostly apparitions. Most ghosts I have encountered over the years have been neutral or positive. One of my earliest memories is connected to one of my favorite cartoon characters—Casper The Friendly Ghost. Below is an excerpt of the first cartoon of him—it is from 1948—and no I wasn’t born yet. He is reading a book on how to win friends. The video is entitled There's Good Boos Tonight. He just wants to make friends and play. He never wanted to scare people. Several of the ghosts I have encountered over the years have been playful. When I was little, I watched Casper faithfully on Saturday morning cartoons. Enjoy! Two ancient Roman festivals that became mixed with the Celtic Samhain, were Seed Fall “Ferealia” a festival in which the Romans commemorated the passing of the dead and “Pomaona” when the Roman Goddess of fruit trees was honored. Some state that our Halloween custom of bobbing for apples derives from this ancient link to this Roman fruit goddess and a Druid practice associated with water. But there is no historical evidence to support this claim. What we do know is bobbing for apples actually has its roots in romantic wishes. The game of bobbing for apples dates back at least a couple of centuries. It originated in the British Isles—particularly in Scotland and Ireland. It originally had to do with fortune telling. British author W.H. Davenport Adams connected this game to “old Celtic fairy lore”. He describes the game in his 1902 book entitled Curiosities of Superstitions. He states apples were thrown in a tub of water and the players would then endeavor to catch one in their mouth. This was difficult because the apples would bob about. When the player succeeded in catching one they would then peel it carefully. The long strip of peel that resulted would then be passed three times, sunwise, * round the players head, afterwards it would be thrown over the shoulder. It was watched as it fell to the ground because it was believed it formed a shape of a letter as it hit the ground. This letter was supposedly the first initial of their “true love’s name”. Other Halloween prediction games that were played in Great Britain included “snap apple’. This game was similar to bobbing for apples but the apples were hung from the ceiling by string instead. Another game played with the belief it would predict one’s true love involved naming nutshells with perspective lover’s names and then placing them near the fire. If the nutshell burned steadily it was believed it indicated that this person was going to be a “a true love” but if the nutshell cracked or popped off the hearth it indicated that person was just “a passing fancy”. 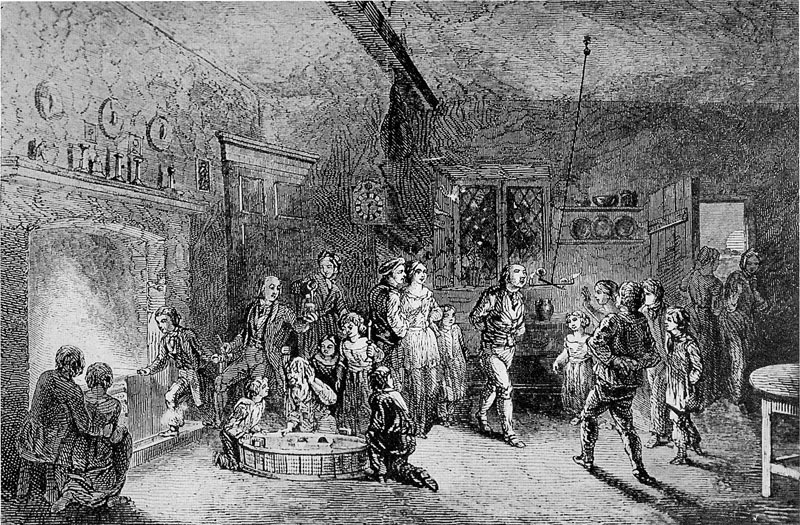 In areas where these customs were observed Halloween was called “Snap-Apple Night” or “Nutshell Night”. In The Origins of Halloween I discuss how the Halloween celebration has changed in my lifetime. * "Sunwise" means in a clockwise direction or in the direction of the sun's daily motion. 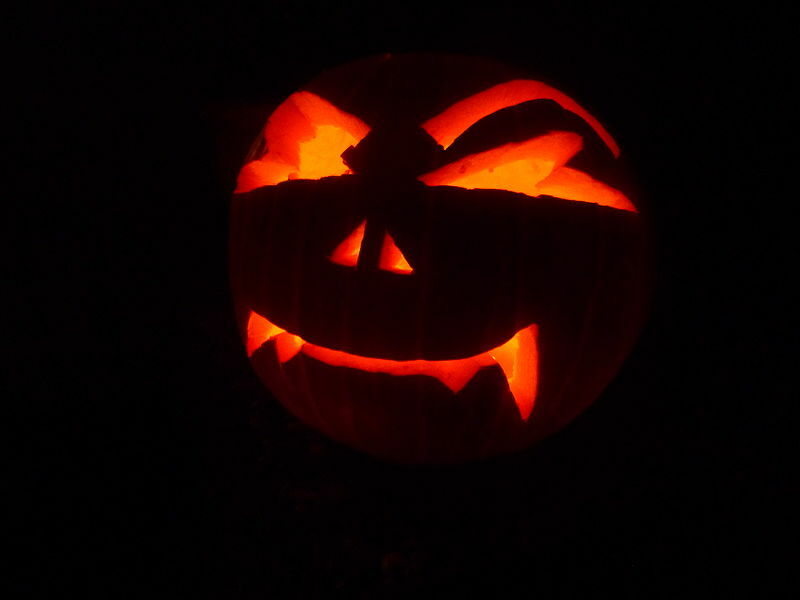 People have been carving jack-o’lanterns at Halloween for centuries. This practice originated from an Irish myth about a man nicknamed “Stingy Jack”, who was a drunken farmer. This Celtic folktale is a tragic fable. As the story goes Stingy Jack invited the Devil to have a drink with him. But true to his name he did not want to pay for it so he convinced the Devil to turn himself into a coin that Jack then could use to buy their drinks. Once the Devil did this Jack decided to keep the coin. He pocketed the coin placing it next to a silver cross, which prevented the Devil from changing back into his original form. Jack eventually released the Devil under the condition that he would not bother Jack for one year and that if Jack died within that year he would not claim his soul. The next year Jack tricked the Devil again. He convinced him to a climb a tree to pick a piece of fruit, once the Devil was up in the tree Jack carved the mark of a cross into the bark of the tree. The Devil therefore could not come down—this time Jack allowed him to come down only if he agreed to leave him alone for ten more years. Soon after this Jack died. But the legend states that God unfortunately would not allow Jack, an unsavory figure into heaven. The Devil still mad at being tricked kept his promise not to claim Jack’s soul so he was not allowed in hell either. He sent Jack on his way with just a lump of coal. Jack found himself wandering the darkness of purgatory with just the coal to light his way. 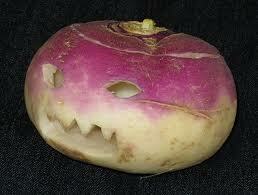 Jack then placed the coal in a turnip he carved. The story ends with Jack roaming the earth endlessly. The Irish started to refer to this ghostly figure as “Jack of the Lantern”. It was then simplified to “Jack-o’lantern”. In Ireland and Scotland, people started to make their own versions of Jacks’ lanterns. They carved scary faces into turnips and potatoes and them placed them in windows or near doors in order to frighten Stingy Jack and other evil wandering spirits away. In England large beets were used. Immigrants brought the Jack-o’lantern tradition with them when they came to the United States. They soon discovered that American pumpkins made great jack-o’lanterns. In The Origins of Halloween in America, Part 4 the tradition of bobbing for apples is discussed along with other Halloween games that this tradition evolved from. Halloween in America is actually a relatively new holiday. It first became popular in the early 1900s. Scottish and Irish immigrants brought most of the Halloween traditions we observe today to America. 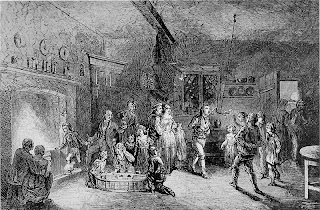 Many of our Halloween traditions originally came across the sea with the Irish immigrants who were fleeing the 1846 Potato Famine. 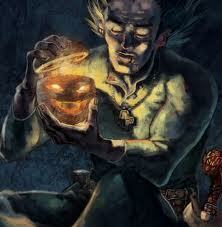 The tradition of carving pumpkins, jack-o'lanterns, is based in Irish folklore that was observed for centuries. While other traditions actually are modern additions, such as, candy corn. These supposed witches’ pet cats were said to be their “familiars” **, or demonic animals that had been given to them by the devil. Another Medieval myth stated that Satan turned himself into a cat when socializing with these witches. 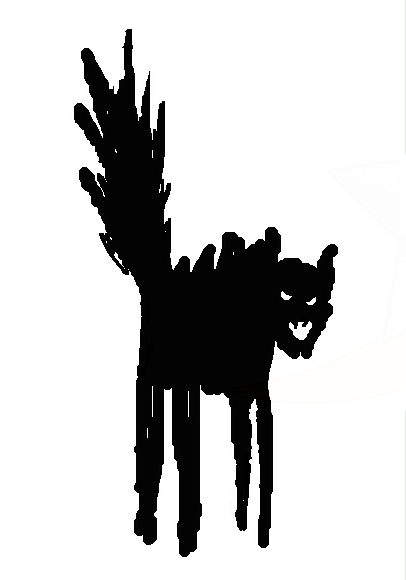 Hence black cats became synonymous with bad luck and mischief so it is considered bad luck for a black cat to cross your path. But this is not true in England, Scotland and Ireland they consider it good luck when a black cat crosses their path. Bats are another Halloween tradition that is seeped in superstitions. Medieval folklore also described bats as being witches’ “familiars”. It is considered a very bad omen if you see a bat on Halloween. One superstition, states if you see a bat flying around a house three times it means someone in that home will soon die. 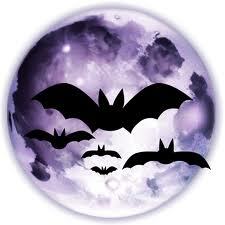 Another myth states that if a bat flies into your house on Halloween, it is a sign your home is haunted. This was believed because it was felt a ghost let the bat in. In the 1920s and '30s the holiday became secular. In the 1950s community leaders around America decided to make Halloween a holiday aimed at children. The reason they did this was to cut down on vandalism—because of the tricks or pranks connected to the holiday. * Ancient Paganism always focused upon women. An example of this is when human sacrifice was still the practice, over 2000 years ago, it was “virgin women” who were sacrificed. ** A familiar is a spirit—usually an animal—who acts as an assistant to a witch. *** After the Scottish and Irish brought their Halloween traditions to America this celebration went through several major changes. In the late 1800’s the holiday became more community centered. In The Origins of Halloween in America, Part 3 I share the story of Stingy Jack which started the tradition of Jack-o-Lanterns.